We have two days for getting deals – Black Friday and Cyber Monday. On #GivingTuesday, we have a day for giving back. #GivingTuesday is the opening day of the giving season. Today Facebook and PayPal are matching donations up to $7 million. No fees on donations — 100% of your donation will go to TUF . Why should you donate to The Urban Farm? Have you ever seen a child’s face light up with pure joy when she first picks up a chicken? Or discovers a warm egg in a nest? We do. Every day. 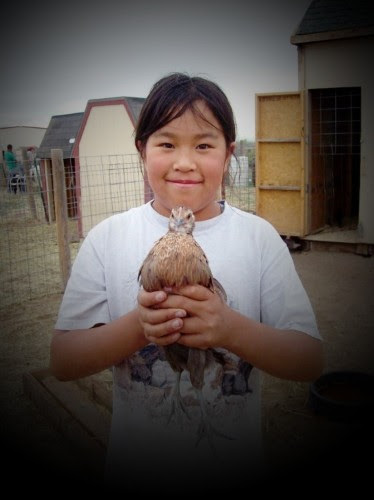 The children in our programs learn how to care for poultry, sheep, goats, cattle and horses. They meet newborn animals and help in their care and growth. They groom horses, feed cattle and clean stalls. They take prized chickens to county fairs. They raise goats and sheep for show. They help shear sheep for wool. In short, we watch young faces light up all the time. And, wow! It feels great! We like to say we’re teaching children our Five Character Strengths: Respect, Responsibility, Grit, Caring and Curiosity. But, you know what happens? Every time we watch a child’s face glow with pride, we do too. Glowing, happy faces create more glow. More pride. More love. When you donate to TUF you help to create these glowing, happy, loving faces. Next PostNext THANK YOU everyone who donated to us on #GivingTuesday.